100 years ago, located at the corner of West Alabama and Almeda, stood a grocery store owned by a hardworking couple named David and Gertrude. That building is still standing, but today we know it as Axelrad for the couple's last name. Axelrad is one of the most popular hangouts in Houston. There are multiple bars that serve craft beer, wine, and hand crafted cocktails. Axelrad is a great place to meet people because of the diverse crowd it attracts. It is fun for the entire family. 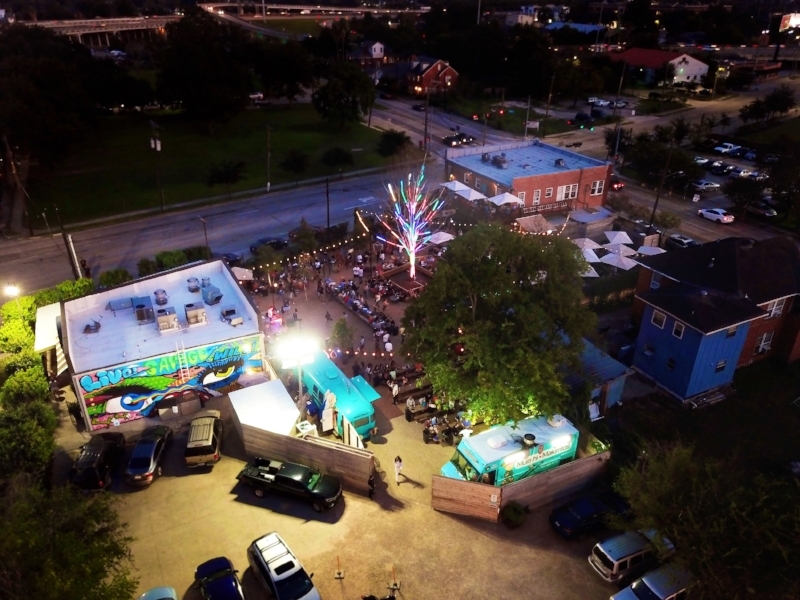 With a beer yard that is full of colorful hammocks, slings, and picnic tables, patrons do not need to be told to sit, chill, and celebrate Houston. Come on the weekend, there are local food vendors, live music, and DJ's. Although there is plenty of parking, you receive a 5% discount if you walk, run, Uber, or ride your bike. But, you don't have to walk alone! Let Houston Tourism Gym plan an adventure for you and your friends to experience Third Ward's Best.